The BS1 Official finds great appeal through its dynamic low-end and clean midrange that will appeal to both earbud and IEM users. Penon’s BS1 Experience was a nice earbud whose reasonable pricing made it accessible to many. However, though sonically impressive, its build and packaging definitely portrayed its first generation status as one of Penon’s first in-house products. The BS1 Official serves as a perfect remedy; a more premium earbud that seeks to legitimize Penon as more than just a retailer, but a respectable audio brand. Utilising a single 15mm dynamic driver, entirely metal housings and a variant of Penon’s custom cables, the BS1 is dressed to impress. 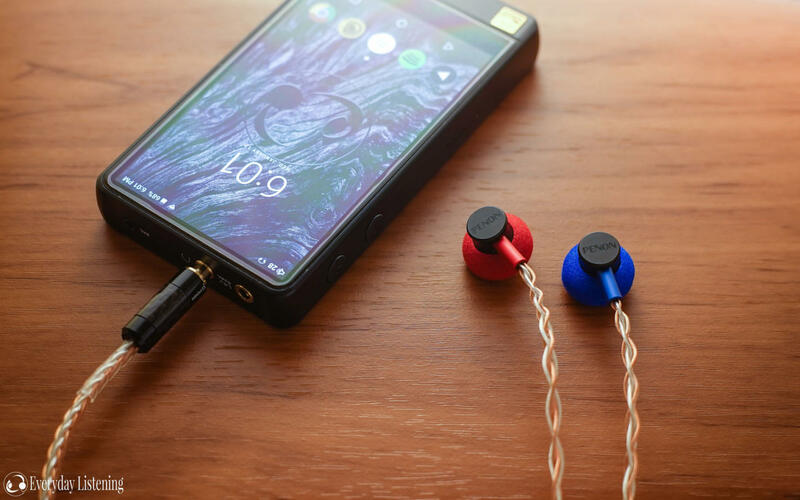 Moreover, it retains a very reasonable asking price at $100 USD, not as universally affordable as its predecessor, but reasonable in the face of other premium earbuds on the market. You can read more about the BS1 Official and purchase one for yourself here. I would like to thank Penon Audio very much for their quick communication and for providing me with the BS1 Official for the purpose of review. All words are my own and there is no monetary incentive for a positive review. Despite receiving the earbuds free of cost, I will attempt to be as objective as possible in my evaluation. The BS1 Official has an improved unboxing experience with a small hard box that contains a delightful wooden hard case. The wood case is wonderful, well sized and protective, Penon actually handmake these in-house, impressive stuff. Penon also provide a fabric button pouch similar to those included with their custom cables. It’s more compact and pocketable if less protective. Underneath are the remaining accessories. A velcro cable colder is a nice touch in addition to a shirt clip. Penon provide 4 pairs of donut foams, 4 pairs of full foams and 4 pairs of each in red/blue to help denote orientation. Also included is a pair of Hiegi donut and full foams, some of the best earbud covers on the market. They provide greater sub-bass extension in addition to enhancing midrange clarity. Overall, it’s a thoughtful accessory set and a big step up from the Official. The BS1 is a well-constructed earbud with a similarly compact design as the original BS1. The Official brings an all-metal build with silver mesh grills and a significantly more premium satin black finish that is much more pleasing to the eye. Colour coded satin strain reliefs add some visual intrigue and enable easy orientation, an issue that affected the BS1 Experience. It’s good to see more earbud housings popping up, especially solid, ergonomically sound housings like this. We’ve come a long way since the EMX500. The BS1 Official is a fairly compact earbud identical in shape to the original BS1 and roughly similar in size to Yuin shell earbuds. Accordingly, it’s immensely comfortable, disappearing in the ear over time. In fact, the BS1 is more rounded than the Yuins and as its strain reliefs are slimmer, they’re more comfortable to wear in lying. Being an earbud with minimal seal, isolation is almost entirely absent and sound leakage will be apparent at high volumes. Still, this is universal to all earbuds simply by nature of their design. The beefy 8-core SPC x Copper cable feels reminiscent of Penon’s recently released OS range of upgrade cables. It’s a little stiff and cumbersome simply due to its size, I would have personally preferred a slimmer unit. That said, it’s a very nice cable that rounds off an exemplary all-round construction. With a nice aluminium strain reliefs on the earpieces and a very well-relieved straight 3.5mm plug, the cable feels almost over-engineered for the earbuds. It’s non-removable but feels built to last. I am interested in purchasing a set of earbuds mainly for listening while laying down on a pillow, or watching a TV show in bed. I try to do this with the PortaPros, but I have to push the pillow side to my forehead and, well… it just doesn’t work. My question: Would something like the BS1 be a good option for this? If so, how would you characterize its sound compared to the PortaPros WITH the Yaxi Pads (I bought them based on your review… you were spot on)? I’m assuming overall size of the sound from the BS1 won’t compare to the PortaPros, but maybe with a decent seal and the donut foams it could be close? And if not the BS1, which would you suggest based on this criteria? Thanks! Hi Ryan, off-topic question but what is this DAP in the image? Thanks, love your reviews! Hi Goya, that’s the Hiby R6, thanks for your kind words!